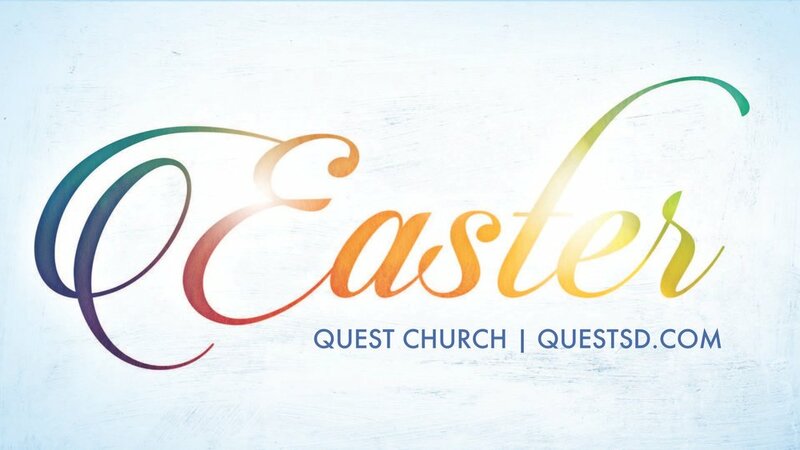 Be our guest this Easter at Quest Church! Our Easter celebration begins by tracing the steps of Jesus towards the cross with a joyful praise and worship service on Palm Sunday. Be sure to come to our outdoor fireside courtyard Good Friday reflection service with acoustic worship, Biblical devotion, and communion. Easter Sunday offers activities for the whole family, including a Resurrection Breakfast, followed by worship, an encouraging message of hope, egg hunt, bounce houses, and refreshments.